Get low. 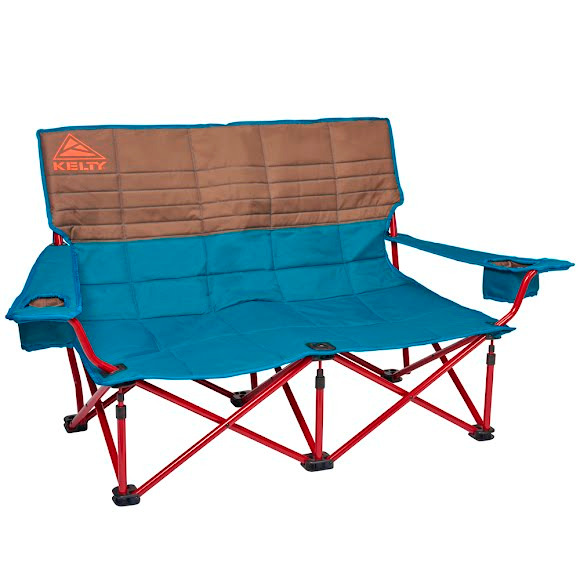 This camping-friendly cuddle couch with a lower base means you're not towering over the campfire or blocking anyone's view of the stage AND you're closer to bae. A relaxed, slightly reclined design means you're about to get your fill of chill. Extra points for a durable steel frame, insulated bevvie holders and a roll-tote carry bag, all from Kelty. Get low. This camping-friendly cuddle couch with a lower base means you&apos;re not towering over the campfire or blocking anyone&apos;s view of the stage AND you&apos;re closer to bae. A relaxed, slightly reclined design means you&apos;re about to get your fill of chill. Extra points for a durable steel frame, insulated bevvie holders and a roll-tote carry bag, all from Kelty .